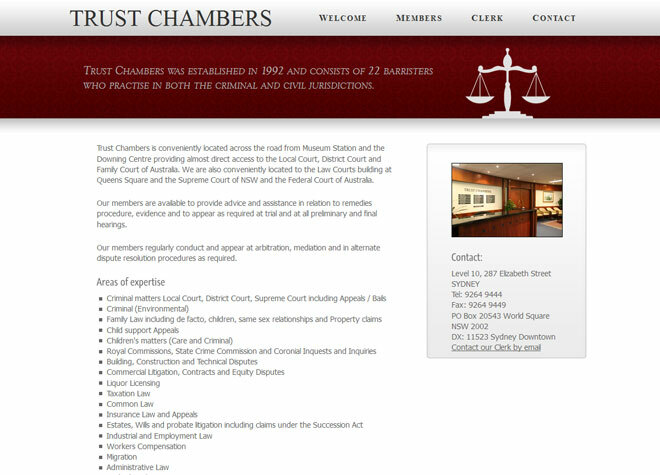 This Sydney barristers’ chambers’ original site looked seriously dated and hadn’t been updated in ages. A complete makeover and update of the content was done including profiles of all members of the chambers. The Contact page was upgraded with the addition of a contact form and Googlemap.